These are some of the lessons we learned from developing our internship programme. Here’s the thing Tina and I didn’t realise about hiring: you save time with the extra hands, but you spend all that time saved setting up systems, streamlining processes, and managing people. Because it had always just been us, there was so much tacit knowledge that we had to translate to SOPs. Suddenly we were drawing up publishing timelines and breaking down our secret language of best-friends-business-partners-knowing-looks methodology into technical guidelines. Refining SOPs continues to take up a lot of headspace today. What worked with a team of three no longer worked when we became a team of five. With each new project we’ve tweaked our working documents so the working process is as transparent as we can make it: at any one time, we know who’s written something, responsible for something, or edited something. We have access to everyone’s mistakes and in that way, also get to learn much faster. We try to make it a point to run through corrections and edits, but there are often stretches when we don’t make time for those dedicated sessions. Designing our SOPs for accountability and transparency is our safeguard to ensure we’re all learning. Man, nobody said building out a team would require so many rules! Save for the time we were working from the Rolla office, Tina and I have largely worked from home. We kept mostly regular hours when we worked together at our home office (pre-Rolla), but worked separately after we moved out from Rolla. I personally dislike the traditional 9-5 fixed office space set-up, which works because we’ve realised the flexible working arrangement we offer is a major draw for many. Tina and I used to say the perks of bring your own boss include having an afternoon shopping session or taking time off to go for extra long walks. I maintain that having that flexibility is a major part of being satisfied in the workplace. BUT! Mindfully growing team culture and having people invested in their work AND each other is ridiculously hard when you don’t have any face time with each other. So with the expansion of the team, we began renting meeting space at The Working Capitol every Friday. What a difference those four hours made (!!). We mostly covered client work and did one-on-one review sessions, but we also got to know each other in a personal capacity. In fact, earlier this year I chanced on the concept of core hours for teams that work remotely and realised we had unintentionally hit a home run with our Friday sessions last year. 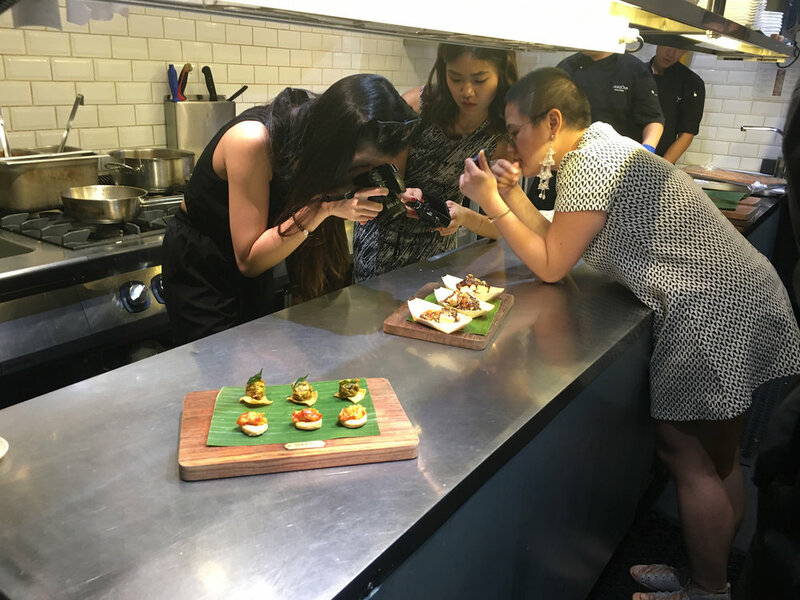 Leonie, Gladys, and Linshan at their first social media shoot for Violet Oon Singapore. Perhaps the most important thing we learned from having interns is that it is necessary to be intentional about work. I think growing our team last year accelerated this process of standing our ground and finding our audience. Finding that balance between meaningful work, challenging work, and work that pays the bills (“auto pilot work”) became so much more apparent when we found ourselves in charge of other people’s careers and personal development. How could we expect them to be happy with their work if we weren’t proud of what the client wanted us to do? It was clear things had to change. I don’t think startup life is for everyone. Many people have this romanticised idea of working from home, but the truth is: working from home = working pretty much all the time. It works well if work is a big part of who you are and you personally understand your productivity cycle. Not everyone can do it or will enjoy it. I will be honest: my hiring track record is more misses than hits because I am often blinded by portfolio work. After working with our fair share of interns, I’ve learned a few things about the kind of people will thrive in the environment we offer. 1. Attitude > skill always. Don’t get me wrong: our best hires are strong writers hell bent on improving their craft. But it takes a certain grit to handle startup pressure — every day there’s a crisis to fix or something new to learn. We don’t have dedicated spheres of influence, so we all have to know a little bit of something. We’re a small team and will always remain small, so accountability is integral to how we function. We’ve worked with part-time interns before and only one has successfully stayed with us, simply because the way we work demands a responsiveness that the mindset cannot be “I will work my 20 hours a week on Monday and Friday.” 20 hours = a few hours each day. I used to think otherwise but wisened up after too many hire/fire situations. 2. Extreme introverts and extroverts don’t work well with us. Cultural fit is real, guys. 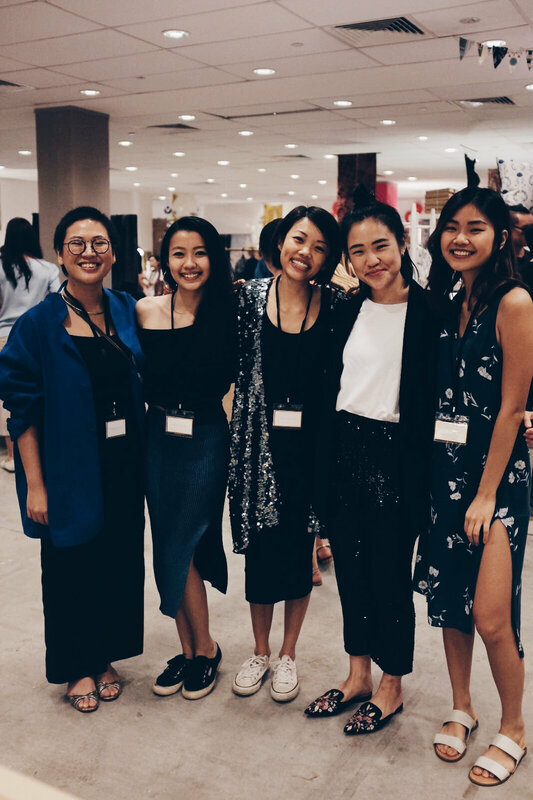 Magic happened with our team of five — Leonie likes to say we lucked out because somehow we all worked great together, valued each other as people, and wanted to know each other as friends. I have realised that the people who are comfortable in our culture are introverts with extroverted tendencies — people who would rather work alone, for example, but enjoy a brainstorm session with other people or a weekly session of things-I-was asked-to-do-that-make-no-sense. People who are ready to listen and willing to share. People who value community and collaboration but are happiest when they can stay in to work. 3. Communication comes first and initiative is a close second. We have systems in place to facilitate the remote working process, but this system will fail if the people we work with don’t learn how to say they need help or they can’t make a deadline. I also think it’s important for our interns to take charge of their own development: we work hard to make sure they are learning and wildly challenged by tasks, but we can only do that when we know where they want to go. Having a clear idea of how we’re able to help them in their career development is so important to the success of the internship. So here’s the icky thing about using interns. They’re cheap, and often their primary role is just that: they’re cheap labour. It’s the whole reason we started hiring interns in the first place: we could not afford the overheads but needed the help. We don’t pay above market rate (we used to, and then it just stopped making business sense) but we try hard to be intentional about how we develop our internships. It still feels a little gross sometimes though, like we’re capitalising on eager students who just need experience on their CVs. After 1.5 years of ad-hoc internship hiring, we're finally looking into registering ourselves with the universities... but to be honest, I'm not sure we'll be developing our internship programme at all. Right now our focus is on strengthening the core team, and to do that we need to properly step away from stand-in help to figure out where our gaps are. Regardless, we’re always happy to talk to young kids who are vested in their careers, even if we don’t end up working together: melissa@publicculture.co.